This is airy and young, like Elderflower wine. Think pine and the toasted nuts thereof, general woodlands and the colour green. From the woods to the warehouse, full of barrels in a woody, damp cellar. It’s fousty down here! Cut the grass on a meadow then flip the mother. But it’s like a good compost (compote), silage smell. Like you’d breath in and go "Aaaaaaah" instead of "AAAARRRGGHHH!!!". It’s like really dense rye bread spread with marmite. It’s fruity too, with dried fruits, stewed prunes and the richness of a mince pie. The sweetness of rhubarb & custard sweets plays with the fruit and moves us on, ever on! The end is weird, as the texture is of play-dough and plasticine, but still holding the marzipan sweetness for a time. Then it’s industrial, plastic glue and paint, poly-cement and dusty concrete. I’m thinking a child playing dangerously near a cement factory? 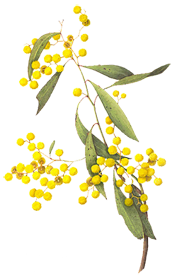 This here is the wattle! It’s the emblem of our land! You can stick it in a bottle, or you can hold it in your hand! Amen! Someone said coffee, "Wow (it is coffee!)" is agreed. The general sentiment seems to be that "Wow it is "wow it is "coffee"""? Coffee brackets ice cream even, or a coffee liqueur perhaps. Tonnes of coffee anyway. It’s deep and oaky, cinder toffee and dark-bitter chocolate which has been burnt. Cherry marmalade on burnt toast confirms the fire within and cordite is even mentioned. There’s something rich and bready, grainy perhaps, or those malted milk biscuits with a picture of a cow on the packet. But the richness has a sour edge to it, a souerrrrrr edge if you will? It’s fousty (but in a good way), airy (like the space between the substance of a prawn cracker), with a musky grape skin aftertaste. Bladderwrack! G’day mate! Aaaaaaw mayt! D’ye miiind thows owld sweets ya bloody wallaby?!? Flumps?!? Belt up ya big galah, it’s bluddy Flumpses, Chryyyyst!!! Boil the billy furra cuppa mayt! AWWWW MAYT! "Bonza (itsa billy-o-cawfee mayt!)". Eeevry bugger’s beltin’ "Bonza "itsa "bonza "itsa billy-o-cawfee mayt!"""? Cawfee up the wazoo mayt! Stone the crows this izza bluddy rich bugga! It’s hotta thanna monkey’s bum! This’ll ave the firies out and noooo mistayk! Taystes o’ damper mayt. Aaaaaaw, mayt! Deadset! Like thowse bikkies with a bluddy Mallee Bull on ‘em! But jeeeeesus! That’s a tongue-zinger mayt! It’s a stuffy mutha mayt, (aw mayt), but that’s good oil cobber! Lyk sum bluddy wine seed or some bottler! Piss-sack-ruin! We felt rich, but sadly we were mistaken..
We’re all in agreement that this is long. As long as a kangaroo's tail in fact. The coffee is back, even MoRe CoFfEe LiQuEuR and cofffeeeeeee! An element of fudge in the coffeeeeeee perhaps? But we haven’t lost the sourness and the bitter palate experience either, with bitter fruits like orange and tamarind. It’s spicy too just before it slips away.